You are here: Home > > > Grid Protection > > > A NERC Cover-Up? Who Put the Electric Grid at Risk? This incident has the olfactory bouquet of a NERC cover-up: On February 28, 2018 the North American Electric Reliability Corporation (NERC) submitted a proposed “Notice of Penalty” to the federal government against an “Unidentified Registered Entity.” This entity was responsible for a massive data breach that, according to NERC, posed a “serious or substantial risk” to the electric grid. Is there any legitimate reason that the public is not allowed to know who put us at risk? Alas, a NERC cover-up really should not come as a surprise since NERC is actually just a proxy for the electric utility industry. Q: Who actually regulates the grid? A: The grid. Perhaps a bit of background is in order for those unfamiliar with the regulatory scheme of the electric grid. First of all, the federal regulator for the electric grid is an obscure agency called the Federal Energy Regulatory Commission (FERC). But in reality, “the grid” is self regulated. “The grid” is actually thousands of companies – both public and private sector – who are involved in the generation, transmission and distribution of electric power. These companies – much like Wall Street – regulate themselves through an entity known as the North American Electric Reliability Corporation, or NERC. The law allows FERC to designate an entity as what is known as the “Electric Reliability Organization” (ERO). This ERO makes the rules – including grid security regulations, and submits them to FERC for approval. NERC is the Commission-certified Electric Reliability Organization. In other words, two sectors are customers and one is the government. The other nine are the electric industry. The electric industry gets 9 votes – the customers and the government get 3. If that is not a stacked deck, I don’t know what is. So NERC is literally funded, run and its leadership elected by the electric utility industry that it allegedly regulates. As we have seen lately in the fight for cybersecurity regulations, if the grid does not want to be regulated, it has means to resist being regulated. This is really really bad. Imagine what would happen if North Korea, Iran, Russia or China came into possession of such a treasure trove of information to access the electric grid? As bad as this is, the NERC-anonymized entity does not admit any fault and agrees to pay a paltry $2,700,000 fine for what might be the worst threat to national security of the 21st century. This is the settlement proposal that NERC wants the federal government to sign off on. And, NERC thinks the public does not have a right to know who the violator is. It appears from a separate filing, that is not available to the public, NERC is claiming that the identity of the violator is “Critical Energy Infrastructure Information” (CEII). We can’t tell for sure since we do not have access to the document. 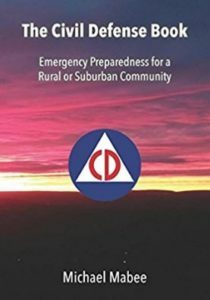 But FERC regulations and policy holds that information that “simply give[s] the general location of the critical infrastructure” or simply provides the name of the facility is not Critical Energy Infrastructure Information (CEII). We agree. The breach is over and has been allegedly “mitigated” according to NERC. Why does the public not have the right to know who endangered us? Notwithstanding NERC’s lack of transparency in hiding the identity of the “Unidentified Registered Entity,” such a NERC cover-up is against the public interest and should not be allowed by FERC. 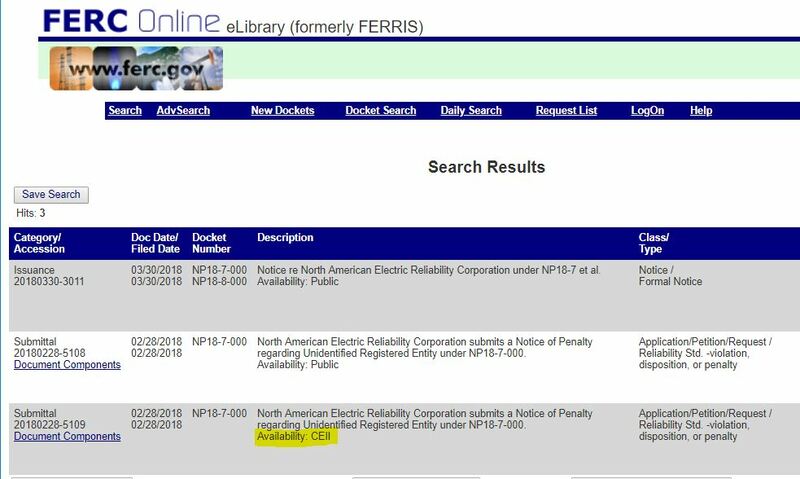 On March 30, 2018, FERC announced that is is delaying approval of the NERC Notice of Penalty until May 29, 2018. 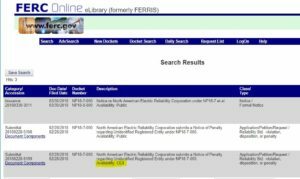 (FERC Docket No. NP18-7-000.) One can only hope that this means FERC intends on reviewing this extremely fishy NERC cover-up.